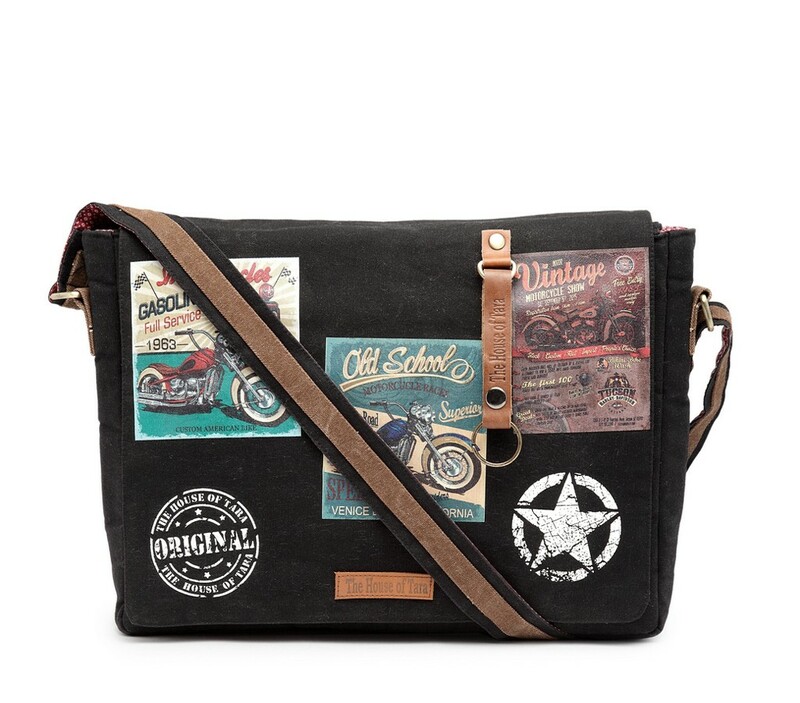 This stylish messenger bag is made to enhance your personality. Made in heavy, treated, 100% cotton canvas. Can fit upto 15.6 inch screen size laptop comfortably. 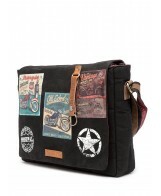 This stylish messenger bag is made to enhance your personality. 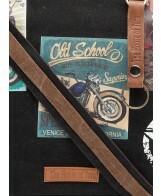 Made in heavy, treated, 100% cotton canvas. 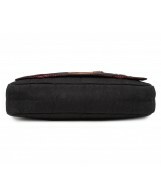 The bag is divided in two compartments that are separated by a padded partition. Can fit upto 15.6 inch screen size laptop comfortably. 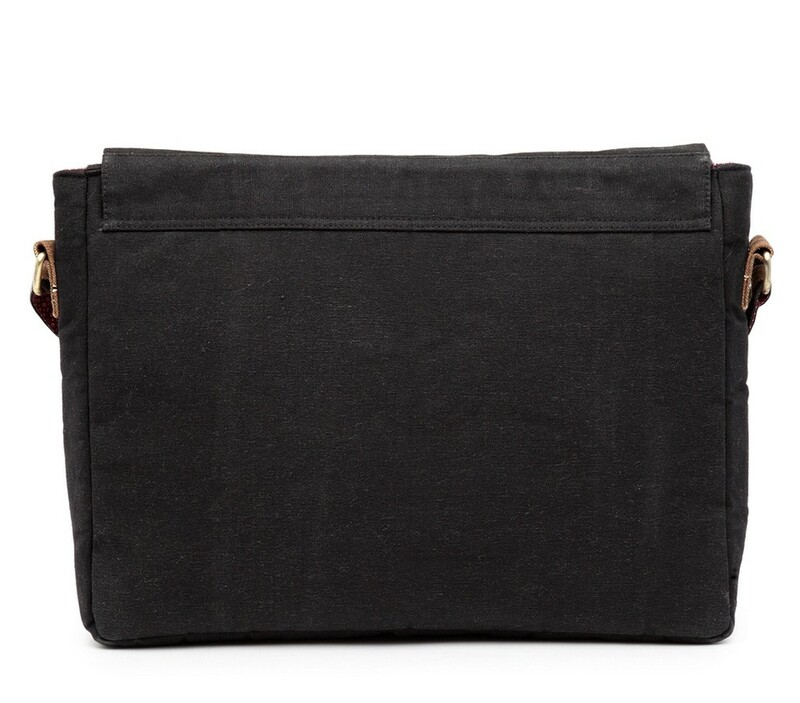 The bag has adequate padding to protect your laptop. 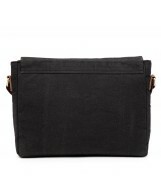 It has an inside zip pocket and an organiser sleeve that allows you to organise your mobile, pens, eyewear and diaries etc. 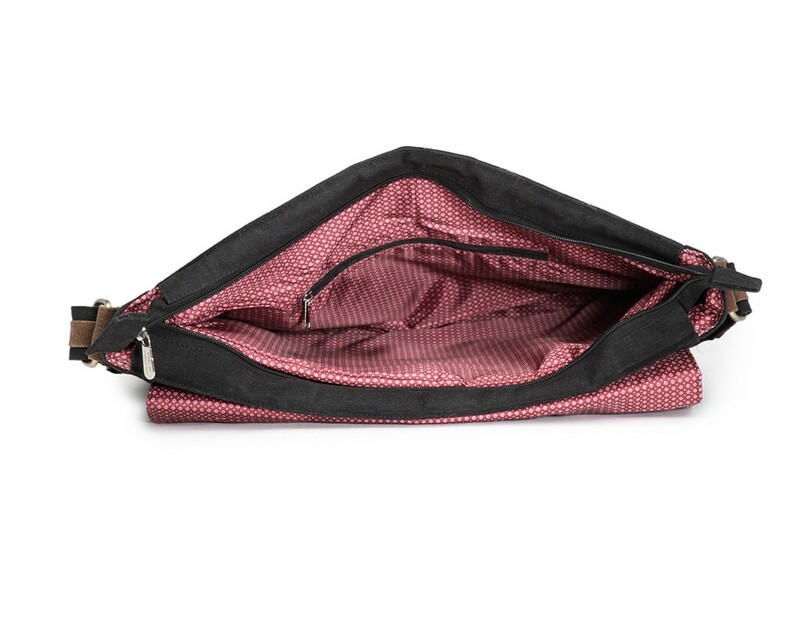 It has two big net pockets in front for your easy access items. 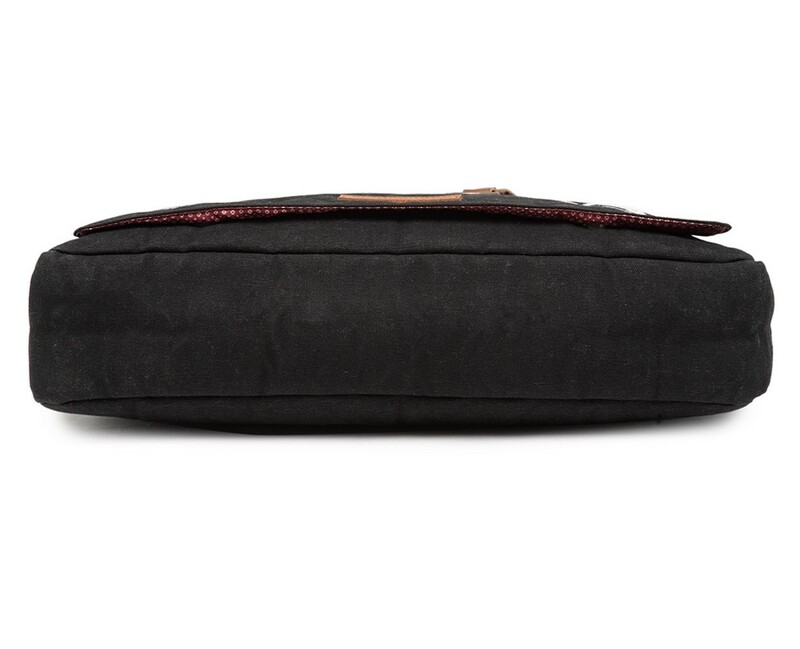 The main compartment has a zip closure and is further covered by a flap with magnetic buttons closure. 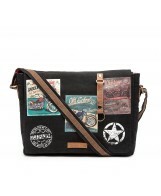 The flap is enhanced with attractive vintage patch prints. 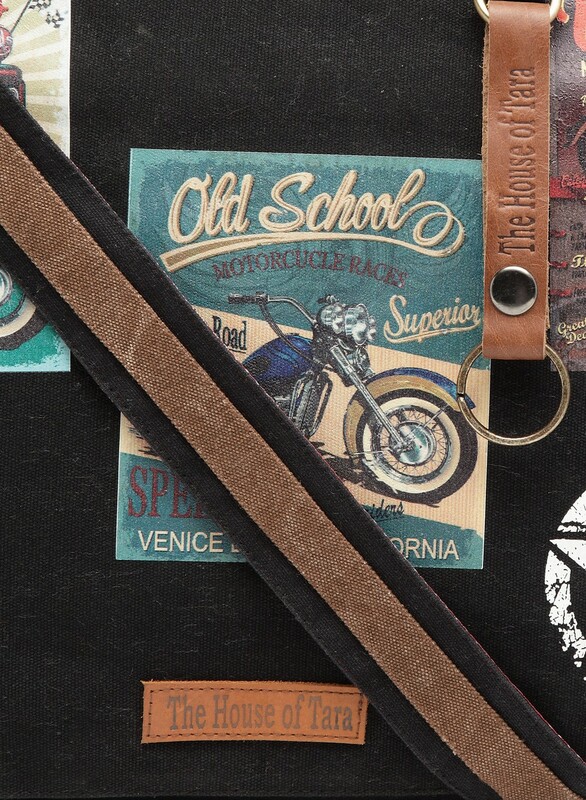 A leather keychain comes as a standard with the bag. 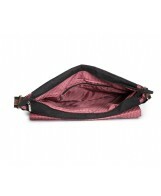 It has a detachable shoulder strap that is adustable in length. 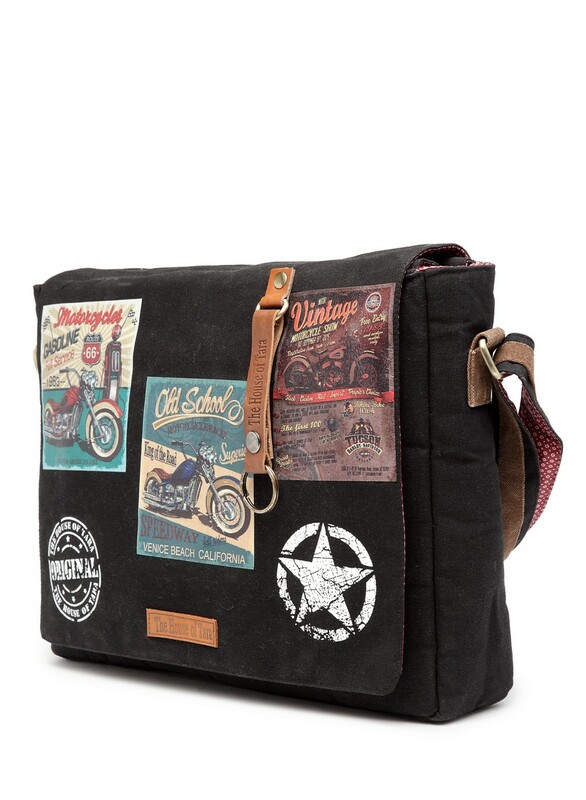 This bag can serve as an ideal office bag or college bag that will last a long time. 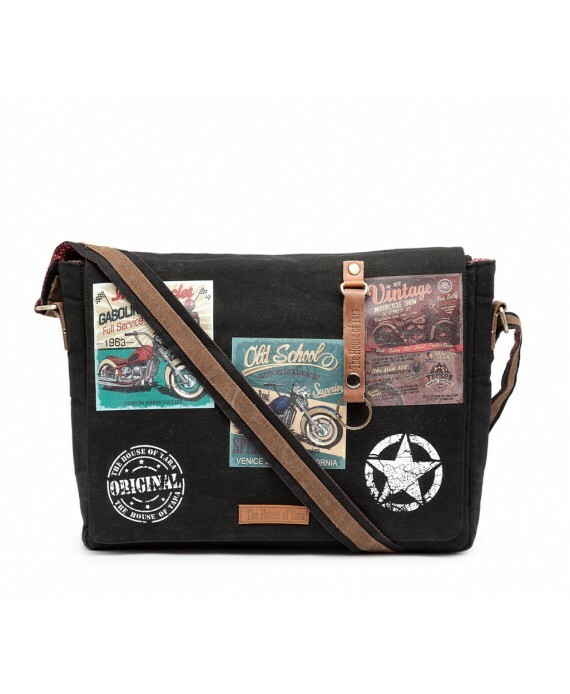 The inside of the bag is lined with strong printed polyester lining.